Air Conditioner Start Up Tips for Charlotte Homeowners! Have no doubt, many Charlotte area residents will be starting up their home air conditioner over the next few days when the temps in Charlotte reach into the 70-80 degree mark for the first time! While starting your central ac for the first time of the season is not too worrisome of a task, there are a few basic precautions you can take before you switch over to the cooling mode, just to avoid obvious problems. In this Charlotte Heating and Cooling Guide article, we want to help you with a few basic air conditioner start up tips, so you don’t find yourself sweating in your own home this weekend! Following the simple AC Startup Tips below can help make sure your home air conditioner starts up smoothly for the first time this season! If you find that it doesn’t start up, schedule a repair call to have it looked at. Repair estimates are always free with QualitySmith! Companies like Trane and Carrier even offer basic troubleshooting steps you can take with your system if they don’t start, before you call out Charlotte hvac repair companies. One of the common things homeowners may forget to do on first start-up, is to remove the outside condensing unit cover. Just like a car cover, they keep debris and weather off your unit through the winter. Unfortunately, if you run your air conditioner with the cover on, it can burn up the compressor within just a few minutes! This cannot be stressed enough! Replace your hvac filters every 30-60 days for low-end disposable filters! If at anytime your AC doesn’t seem to be keeping up, always check your filters first. Closing a few of the vents in the winter months to direct heat into cold rooms is OK, but you want all vents open during the cooling season! Closed vents accumulate moisture and reduce the effectiveness of a home cooling system. If you need to channel more air to hot spots, it should be done with dampers within the duct system, at the distribution box. More to come on that later! Give your inside air handler or gas furnace a good once over! Look for loose panels, loose wires or any loose hoses or drain lines, that may prohibit normal operation. Pay extra attention to the AC drain line to be sure its properly connected and flowing away from the system! Go outside and make sure there are no leaves, grass or branches near or inside the condensing unit! When you start it up, a small branch in the fan blade could spin and puncture the coil much easier than you think! While you are there, spend 10-15 minutes trimming all long shrubs or grass at least 18 inches away from the sides and top of the unit! Eddie Burkhalter, Owner at B&E AC and Heating of Charlotte reminds us that your central air conditioning unit relies on the movement of free flowing air to work properly! Clearing that debris will not only keep the coils cleaner, it’s one of those AC startup tips that will allow the system to run more efficiently! Drop down and check all wires and copper tubing for obvious damages that may have occurred over the winter months. Whether it was squirrel chewing on a thermostat wire or a house pet that accidentally pulled a wire from the system, if you try to start it, it may short out! As soon as your Charlotte air conditioner starts up for the first time, you should not just rest on the fact that its running! In fact, it’s in your benefit to spend the next few minutes checking a few additional things to prevent costly damages. Check the Condensate Drain Line to make sure the air conditioner is draining properly. The last thing you need is to find out the line is clogged and getting ready to dump water into your home! The AC drain should begin generating drops of water almost immediately! In some homes however, there is a condensate pump that may take a few minutes to fill and pump the waste water out. Check the Temperature at the vents to be sure you have cool air blowing out of the air conditioner. 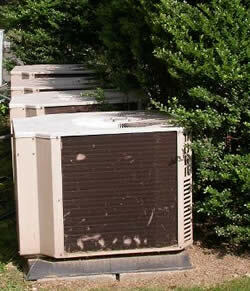 If the air is warm or hot, you may find that you need a refrigerant charge or possibly a repair! 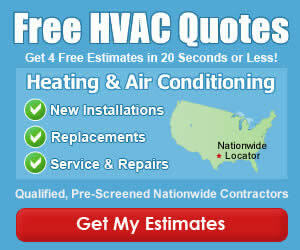 Check the cost to recharge a home air conditioner, or get free hvac repair estimates to avoid further damage.